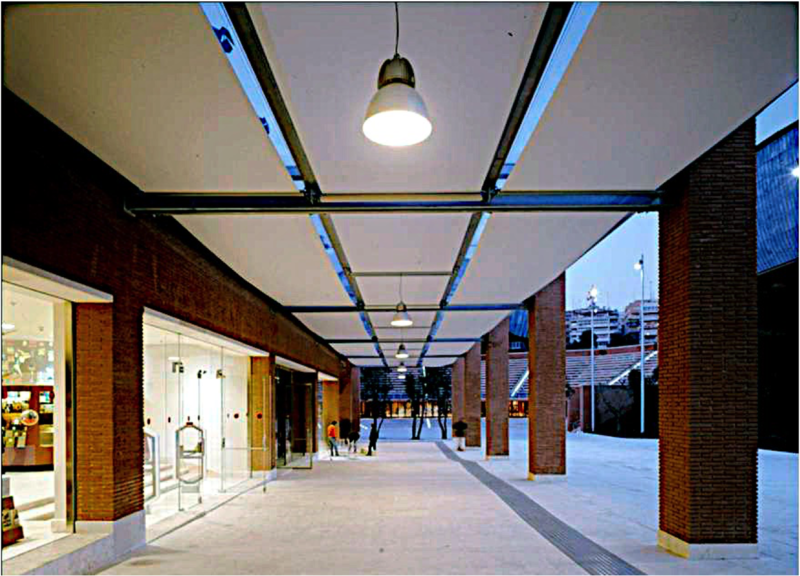 The tensioned forced Exterior Solar Shade is a patented innovative shading system that allows the shade to function at any orientation, such as: top down, bottom up or any skylight configuration. It’s unique tensioning device keeps the fabric taut over wide and long spans of glazing, preventing unsightly sagging. When specified with side channels, this system can follow curves on applications such as solariums or greenhouses. This solution can be used as an interior or exterior application. When installed on the exterior it can withstand very strong wind gusts before it is signaled by a wind sensor to retract. Powered with 120v motors, the tension forced exterior shade is engaged with wired or wireless controls and can be integrated with any control system. Since this system keeps the shade cloth under tension at all times, a strong reliable fabric is required, which is the Serge Ferrari line of Precontraint fabrics. This fabric will not stretch, tear, or loose it’s shape under tension due to it’s unique weave and bonding application.